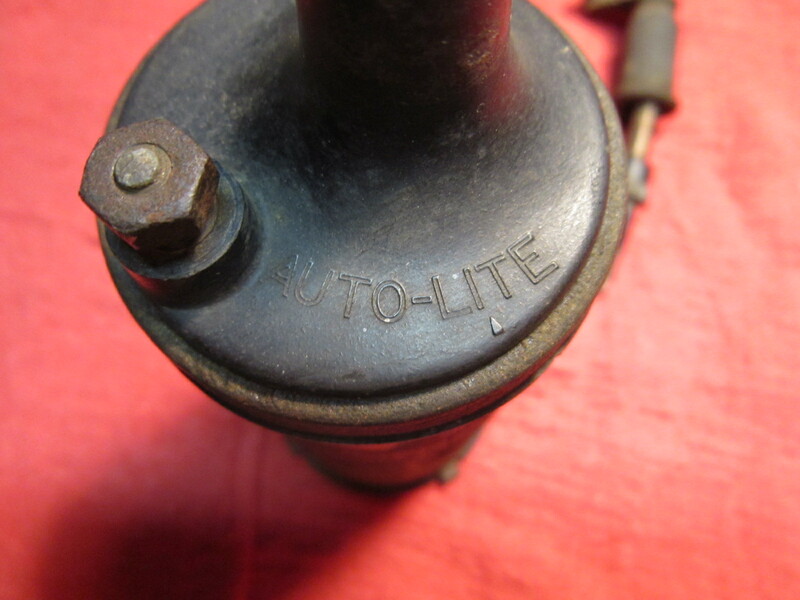 Can anyone tell me the correct Autolite coil part number? 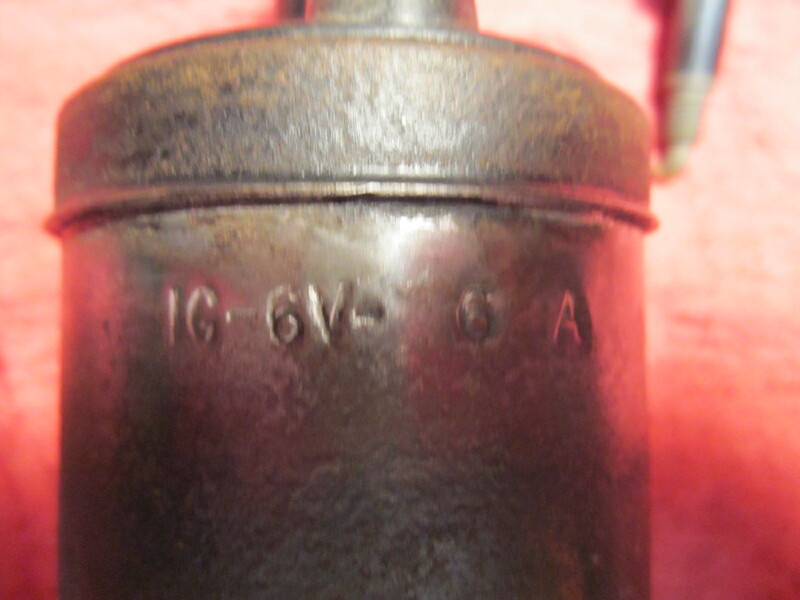 I'm not sure I have the correct part but would like to know what is correct. I do have the coil that fits thru the firewall and connects to the ignition switch thru the cable. 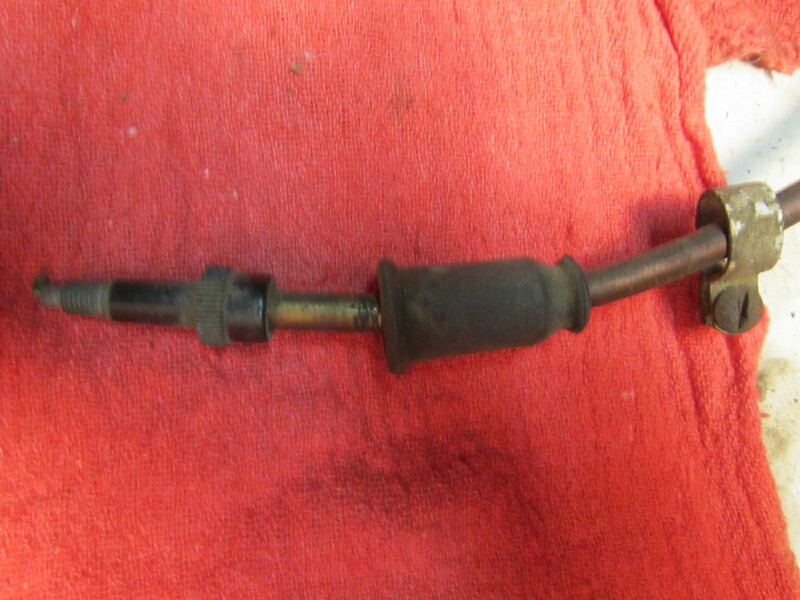 Also have the original ignition switch too. Gary, The original coil number is CE-420. It had a fixed bracket. The service replacement coil number is CE-3224-JS. It uses a separate bracket. Same coil fits many 8 cyl cars - Chrysler 8 36-42, Hudson 8 36-42, Studebaker 8 41-42 etc. The IG-3224-JS is similar, but is used on six cylinder cars. Thanks for the information George. It appears I may not have an original coil. My bracket is not made as part of the coil. My numbers are different from what you posted too. But it does have the coil wire fitting that screws into the end and the other end is connected to the ignition switch if I remember correctly. I will post pics of what I have and the part numbers too. Here are some pics of my coil. 1748 S wrote: Here are some pics of my coil.